My current research into secret manoeuvres includes investigating the opportunities to establish a permanent residence for this work. 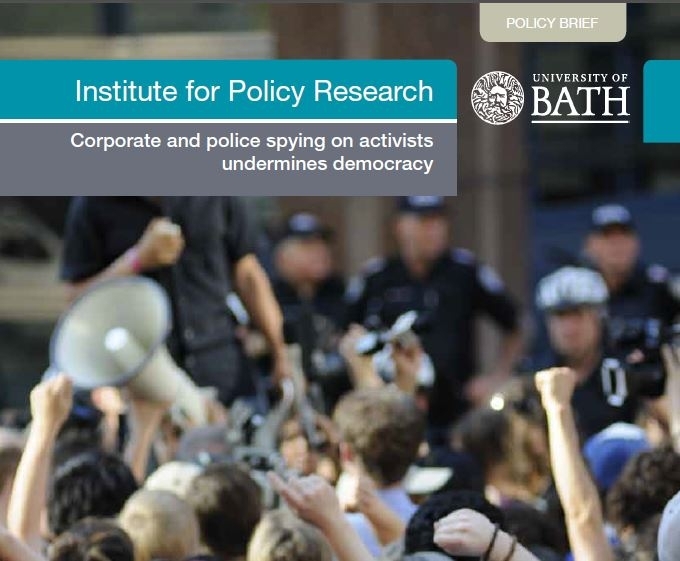 Organising publicity around the book offers the opportunity to reach out and get in touch with people interested in bringing the research into corporate and police spying to the next level. All events are reported at the blog. Creating a space for continued academic research would be ideal. To bring this about, I have written a proposal to introduce activist intelligence as a new multidisciplinary field of research. I aim to organise a one-day conference on issues around research into covert corporate strategy to influence public debate. The event is to be held at the University of Bath (hopefully later this autumn – news will be posted on this blog). Meanwhile, I will continue to work on ‘expanding the evidence-base’ as academics would call it. There are a number of case studies that need to be investigated further, and documented in greater detail. I intend to get a book out with more stories along the lines of Secret Manoeuvres, the sooner the better. One might want to call this investigative reporting, but as a rule my work starts when mainstream media are done with the issue. Funded through grants for investigative reporting, or projects to monitor police and intelligence, such as buro Jansen & Janssen. Part of my work includes supporting people who have been spied upon. To map out the whereabouts of spies that have been exposed helps to make an assessment of the damage done, and to examine the options for legal action. In the case of Mark Kennedy, Powerbase.info published an extensive chronology detailing when he was where, and what was his role. More work on him, and others exposed in the slipstream, still needs to be done.